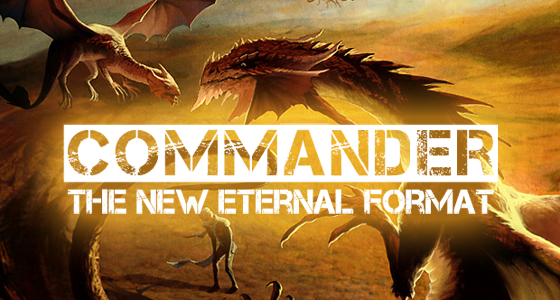 Wizards of the Coast has recently announced the introduction of a new format named Commander. Well, we should clarify the word “new” here, as Commander isn’t exactly a new format at all. So what’s Commander all about? Commander is a modern name for Elder Dragon Highlander, a casual Magic:The Gathering variant which emphasizes social interactions, interesting games, and creative deckbuilding. It can be played 1-on-1 but is usually multiplayer. While the name has changed (multiple times) over the years, it often goes by the nickname EDH. The announcement was made by Aaron Forsythe 10 days ago, and it covers many cool aspects of this new product. Aaron also clarifies that WotC nor the DCI are taking over the rules of this format as they were designed by Sheldon Menery and his rules team.